The story of The Sleeping Beauty spills over with fairies and princes, passion and despair, magnificence and splendor, and the ballet version of this classic tale is the most romantic and spectacular of all. 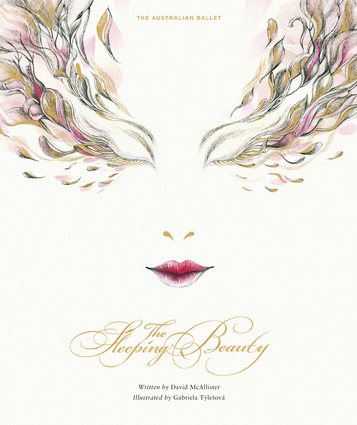 Australian Ballet Creative Director David McAllister's impressive 2015 production of The Sleeping Beauty, ornamented by internationally celebrated designer Gabriela Tylesova's lavish costumes and sets, cast a spell of delight on its audiences, and was a sellout success. Now McAllister and Tylesova weave their magic again, transporting the enchantment of their production to the pages of this book. David's text and Gabriela's illustrations recreate the world of this favorite ballet for readers to enjoy again and again. David McAllister was principal artist with The Australian Ballet for 12 years, and is now Artistic Director of The Australian Ballet. In 2015, he premiered a new production of The Sleeping Beauty. Gabriela Tylesova has won international acclaim for her costume and set designs across the full spectrum of the arts, including theater, opera, dance and film.